Shana Jones’ favorite part of law school was her environmental law clinic. Now, as the director of the new Virginia Coastal Policy Clinic (VCPC) at William & Mary Law School, Jones gets to give her students the same experience of immersing themselves in practical problems of law and policy. Like clinical experiences in medical school, law clinics allow students to serve real clients and apply the knowledge they’ve learned from textbooks and late-night cramming to real-world problems. The VCPC is a partnership between the Law School and the Virginia Institute of Marine Science that allows students to learn about coastal science and policy while addressing issues facing Virginia coastal communities. Virginia Sea Grant (VASG) is also supporting the VCPC by funding two summer law fellows and providing access to the National Sea Grant Law Center and other Sea Grant projects relating to climate adaptation. The first cohort of VCPC students this spring semester worked on policy problems facing Norfolk and Poquoson as a result of rising sea levels and increasingly frequent flooding. "Nothing brings the law to life more than engaging with real-world problems,” Jones said, "Law and policy don’t operate in a vacuum, and it is critical for students to learn how to identify and understand the facts underlying some of our most pressing environmental problems." The students visited marine scientists and wetlands biologists at VIMS’s Center for Coastal Resource Management to learn about how sea-level rise is affecting coastal Virginia, and they spoke with NGOs, policy-makers, and journalists about climate change issues and how they are being dealt with locally. After getting more familiar with the science of sea-level rise and with its importance to local communities, each of the nine clinic students wrote an analysis or memo on a legal or policy question facing Norfolk or Poquoson as they attempt to prepare for and adapt to sea-level rise. For example, Block looked at whether any adaptation strategies that might be undertaken in Poquoson could result in a takings under the 5th amendment—meaning that the government would be required to compensate property owners for the effects of adaptation policies on their property. Third-year law student Dan Doty took on the takings question for Norfolk with a twist—considering whether not adapting could lead to a takings. In other words, if Norfolk failed to take actions that might prevent damage to private property from flooding, could the city be held responsible for that damage? 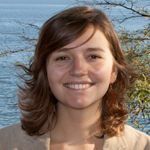 Mary-Carson Saunders, another third-year student analyzed whether Dillon’s Rule—which limits the authority of local governments in Virginia—might be a barrier to implementing adaptation policies. The students’ memos will be made available to the public this summer. Jones will be presenting them at Norfolk’s Regional Expert Advisory Flooding Meeting in June and as part of a conference planned for local governments in the fall. The conference, Adaptive Planning for Flooding and Coastal Change in Virginia: Legal Issues for Local Government, will be held on September 13, and will provide a forum for local governments and coastal stakeholders to discuss the legal issues created by recurrent flooding and sea level rise and what actions may be needed to begin addressing them. Two Virginia Sea Grant Law Fellows, Chris Olcott and Erica Penn, will work with Jones this summer to help finalize the memos and organize the conference. After a successful inaugural class, the VCPC is gearing up for fall and spring courses next school year. As for this semester’s clinic students, most graduated with their JDs last weekend and many hope to pursue careers in environmental law or policy. “A lot of people go to law school to practice in a big firm,” says Saunders. “This clinic is a great new opportunity for students who are more interested in policy." To read more about the VCPC and project partners, visit the websites of the W&M Law School and Virginia Sea Grant.